Westmeath goalkeeper Eoin Carberry. ©INPHO/Laszlo Geczo. The Westmeath team to face Longford shows one change in personnel from the one named for last weekend's postponed fixture with Louth. 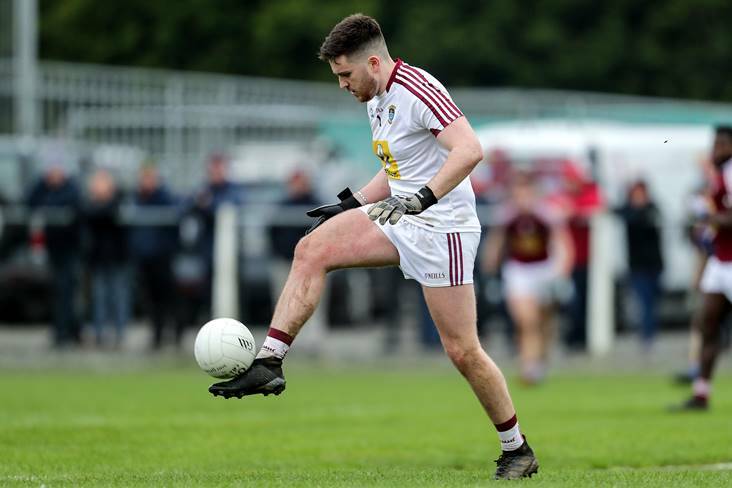 Miltown's Joe Halligan replaces Luke Loughlin in attack as the Lake County prepare to welcome their midland neighbours to TEG Cusack Park for their Allianz Football League Division 3 clash on Sunday (throw-in 2pm). Westmeath (Allianz FL v Longford): Eoin Carberry; Killian Daly, Ronan Wallace, Boidu Sayeh; Kevin Maguire, Frank Boyle, James Dolan; Sam Duncan, Denis Corroon; Jamie Gonoud, John Heslin, Joe Halligan; Ronan O'Toole, Kieran Martin, Ger Egan.